I Hope everyone had a wonderful Labor Day weekend…. we did!! My family was here and we had the best time, so stay tuned this week for a post or two about our weekend!! BUT right now I am gonna give you a little more home tour!! 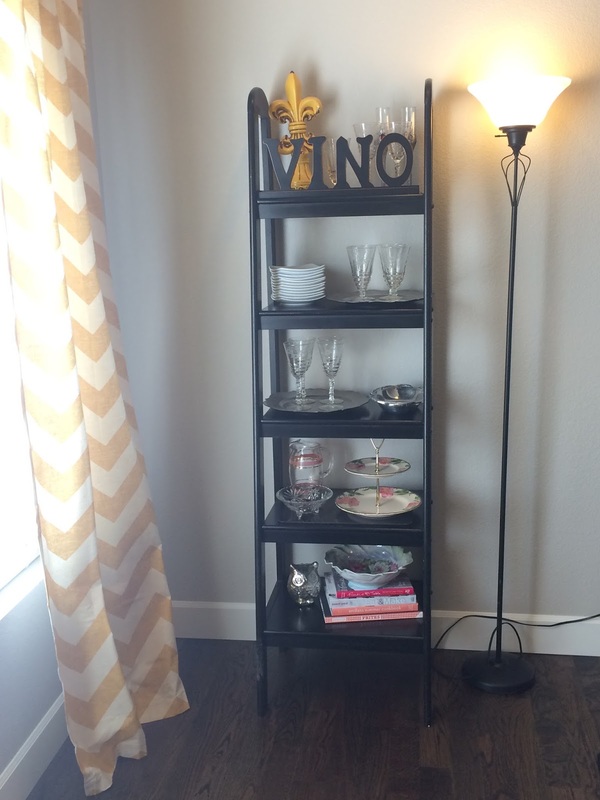 Starting at my entryway table…. since I took this picture I have added some pumpkins and Fall flare! But of course! I love that in all the boxes I found our HUGE Pottery Barn vase that I filled with Matt’s old baseballs, it looks great but it is also a great little piece of him! The globe is something I made…. or should I say my Mom painted it black then when my Sister-in-law Jordan came to visit she has great handwriting so she wrote our wedding verse on it (Ruth 1:6) and now when everyone visits I have them sign it like a guest book with silver sharpie…. and OH NO! I think we had too much fun this weekend to remember to have my family sign it…. DUH!!! We have a mudroom now which is fun and will come in handy this winter I am sure of, it’s also great to keep all the dogs things! 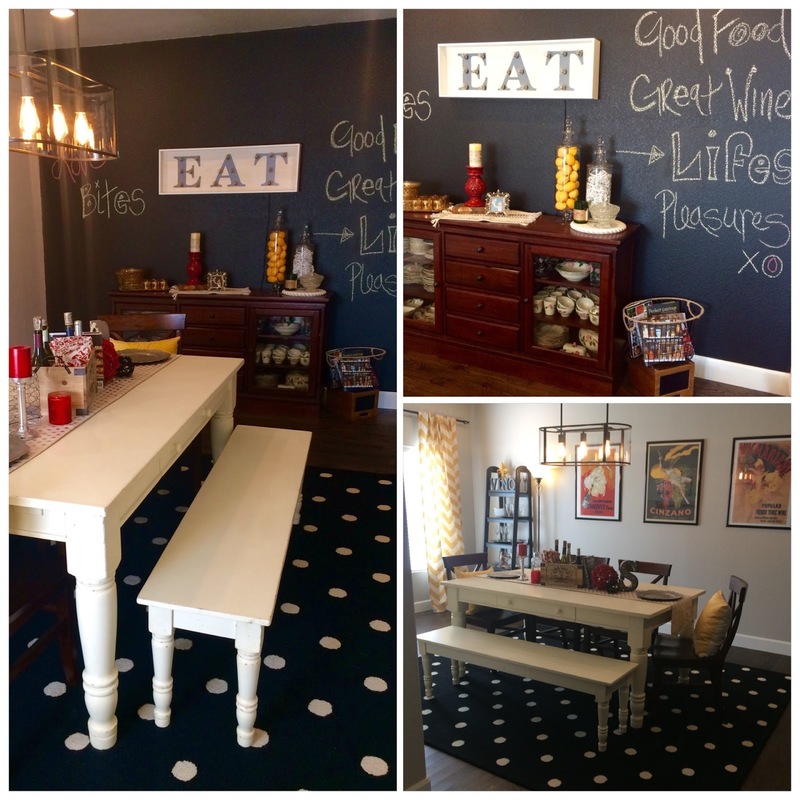 The formal dining room is my PRIDE AND JOY……. and everyone thought I was crazy painting one wall chalkboard but I love it! I just wish my EAT marquee sign that lights up pictured better! The rug I got from Pottery Barn Teen actually and I LOVE it, it really makes the room come together and the Mustard curtains were on sale at West Elm! Below is an OLD ladder shelf from Target from our first home and I repurposed it into a “Bar Ladder” of sorts or a buffet and I am happy how it turned out. The Chandelier is also West Elm and I did the whole room around the 3 Vintage prints on the wall… what can I say… I like color! Here is our kitchen ALL white just like I like! ha! It is completely open to the living room which makes cooking much more enjoyable… watching TV or chatting with guests while I cook! I LOVE the windows…. they look over to the hillside and sometimes while I am cooking I can watch deer on the hill! Since this picture I have changed up a few things but I will take a picture soon and post them! This is the cute space behind my stove which is perfect for fresh flowers and this cute vintage Oklahoma plate I found! 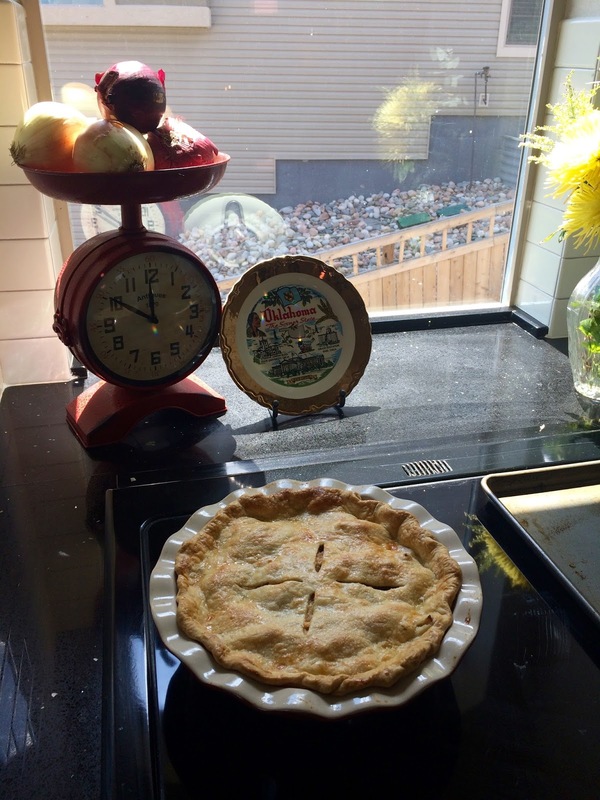 And pie of course!!!!!!! Here is our living room…. colorful, relaxed and lived in is what I wanted! 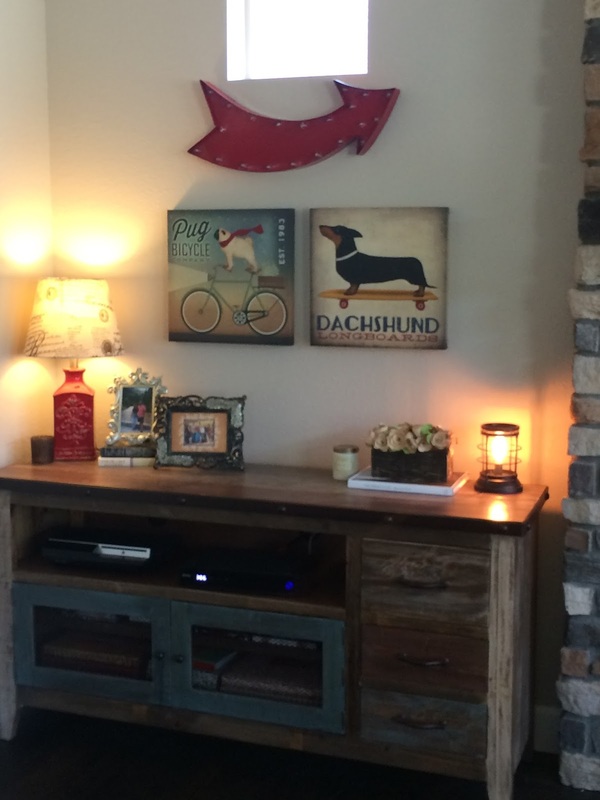 And the dog prints are absolutely the focal pieces on the wall!!! 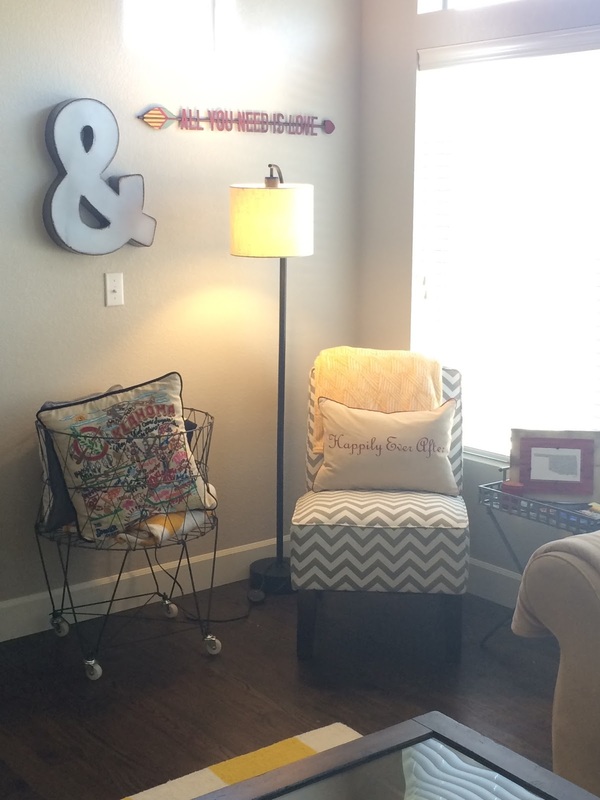 This is the opposite wall where I have created a cute little seating area by the window in the living room! And that is Matt’s new purchase our BIG TV which I LOVE too and we can’t wait for winter to use our modern fireplace! 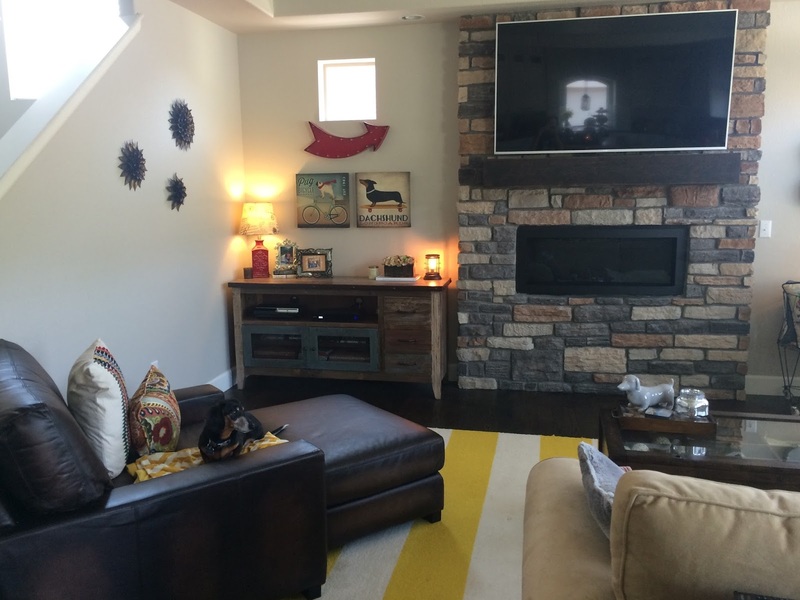 I also added the large Pottery Barn leather chair to match the sectional we already had…. now we have more space so we needed another seating area! Over all I love the living room…. it really is ME! This is my view at night from my favorite part of the couch! Our basement level is a walkout so it really isn’t a basement at all and it walks about onto our patio and into our yard. 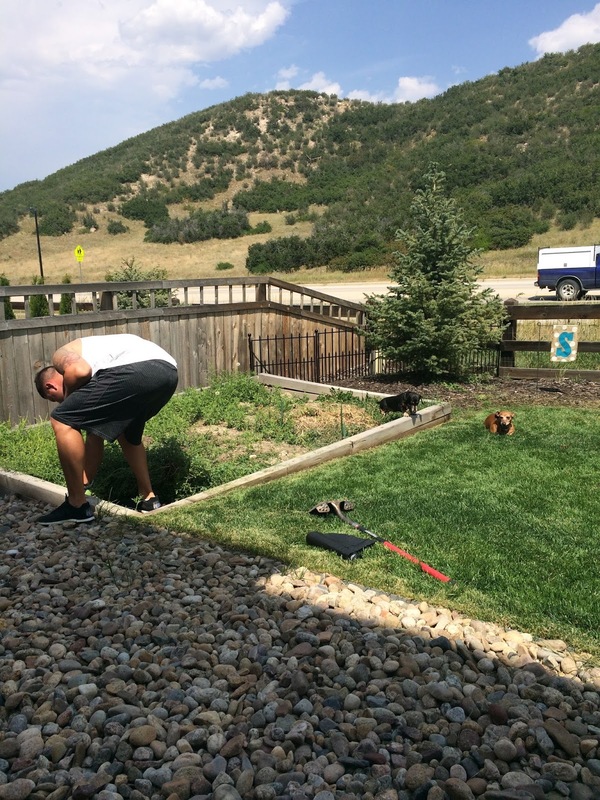 Our yard came with a garden but it was full of weeds….. Matt and the Dogs took care of it for me! This is our basement for now……. it is roughly an additional 900 sq feet already run for plumbing and the works…. the plan is a 5 year plan. And it will have a 5th bedroom, full bath, Wet bar and movie/rec room one day!!! We need to start saving now! haha! Well guys… later this week I will give you the Master bedroom tour…. hope you enjoyed it! You need to become an interior decorator! It is all so creative, personal touches, and cute! 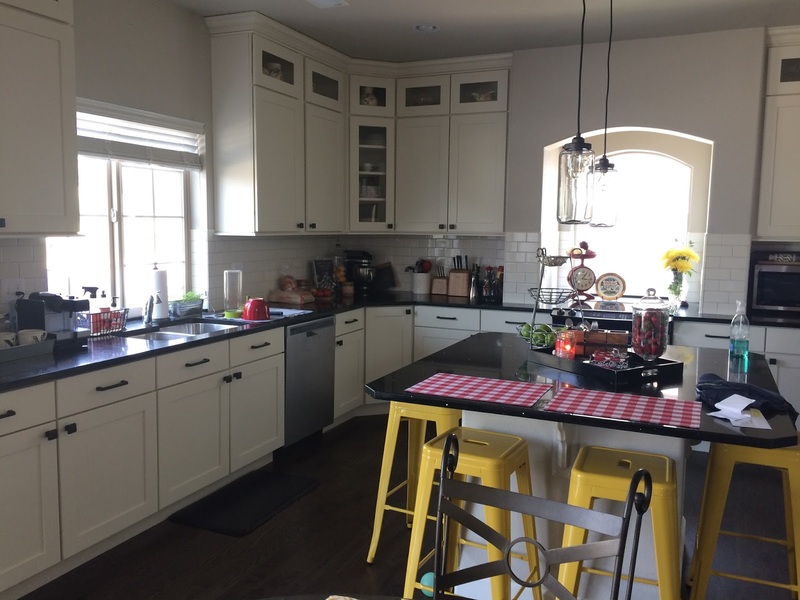 I LOVE your kitchen!!! I can't wait to add onto our 1921 bungalow to have a bigger kitchen. I also spotted desert rose china, I have my Greta grandmothers set! Love it!